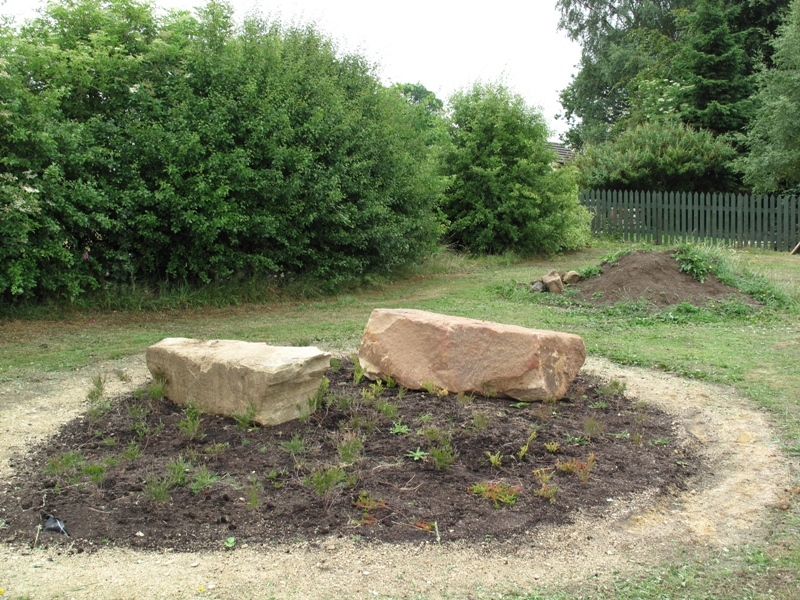 At the East Midlands in Bloom Presentations near Leicester on 14th September, Tansley School was awarded a Silver Gilt and also a judges' special award for its ongoing development of its gardens and wildlife areas. 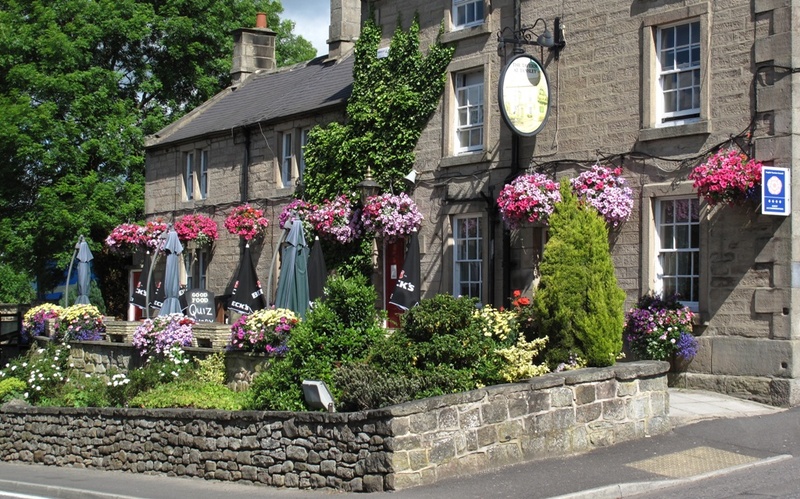 The Tavern received the prestigious Gold Award and was best overall in the Pub/Hotel Garden category, for which they must be congratulated. 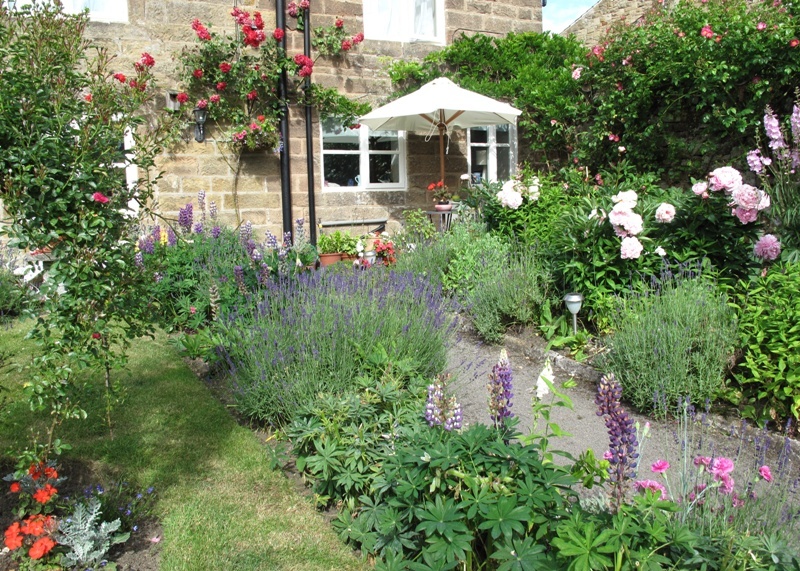 Ruth Bartlett's house at The Cottage, Green Lane was awarded Silver Gilt in the Frank Constable Best Residential Garden category. Tansley itself received a Silver. Despite increasing our score for Horticultural Achievement by nearly 7% we lost points for Community Participation, compared to last year. 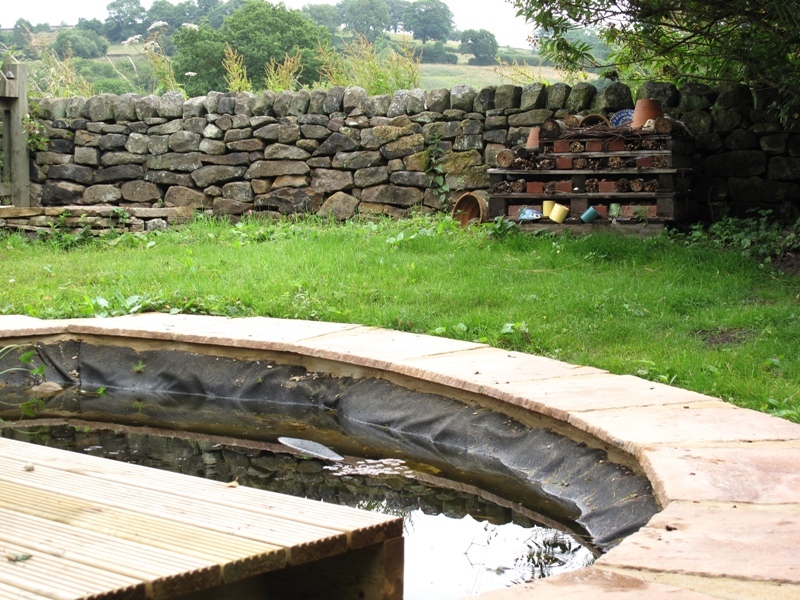 This reduced our overall score by 2 points and took us down from a borderline Silver Gilt last year to Silver this time. 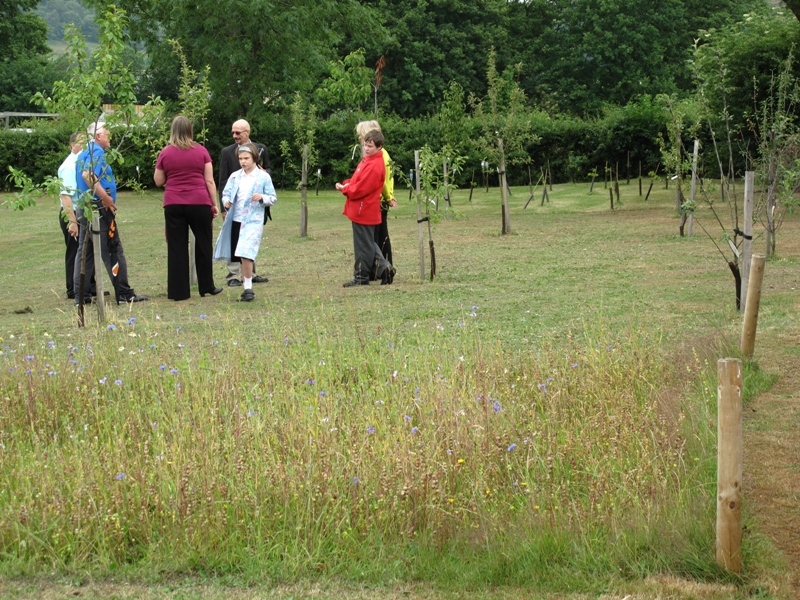 The judges had a fine morning for their tour around the village (see the actual route here), seeing everything in our EMIB Portfolio including the school, the hanging baskets and tubs, the Village Green, the Fete Field, the woodland area and ponds alongside Foxholes Brook, the churchyard, Ruth Barlett's garden (for the Frank Constable award), The Tavern (our Best Pub Garden entry), the church's flower festival (though past its best) and the many small improvements made in the village by various people/groups this year. Owing to a small increase in our electoral register, taking it to 1,025 adults this year, we had to compete in the EMIB Large Village Class for the first time. 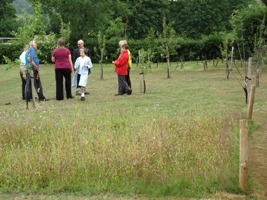 We hope to retain and improve a little on our Silver Gilt Award of last year. You can see the judging criteria and marking scheme here. Click here to view a web photo album taken mostly at the school but also of Ruth Bartlett's garden and The Tavern. 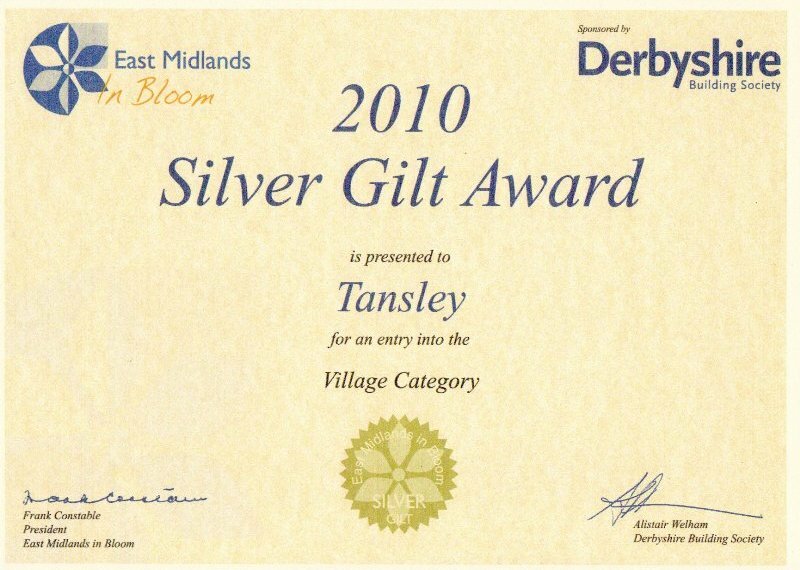 East Midlands In Bloom gave Tansley a Silver Gilt Award in the Village Class. 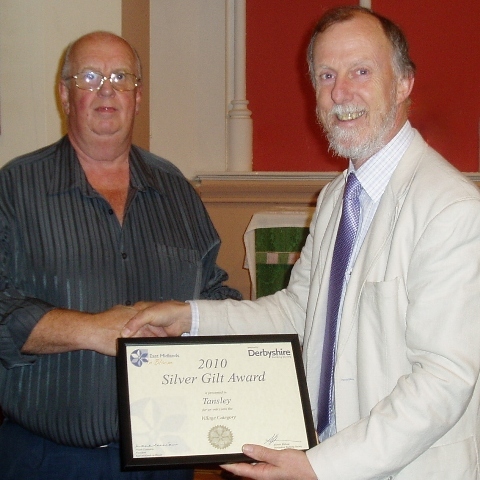 This is Tansley's highest award so far, improving on its Silver in 2009. 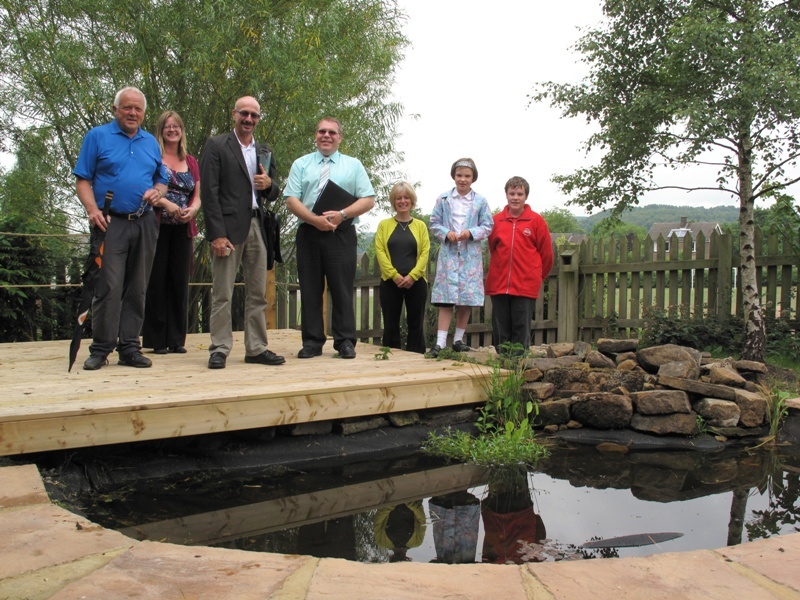 This is a great achievement for the village and everyone who helped to raise our standard. You can download the judges' assessment leading to our award here, page 8. 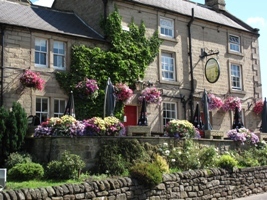 The Tavern won a Silver Award in the Best Hotel/Pub Garden On Display competition. Tansley Primary School won a Special Judges Award 'for the exciting new projects in the grounds of the Primary School and the plans to make them sustainable into the future'. 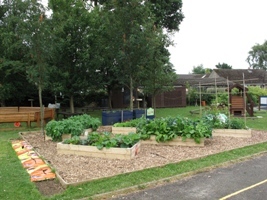 The school came 9th overall for the School Garden Competition and won a Silver Gilt Award. 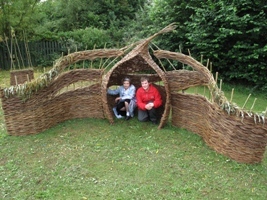 Well done Tracey, Denise, the children and everyone else who helped to achieve this! Tansley Primary School pupil Amy Wright aged 6 won First Prize in the Children's Painting Competition Class 1 for her painting called 'Beautiful'. 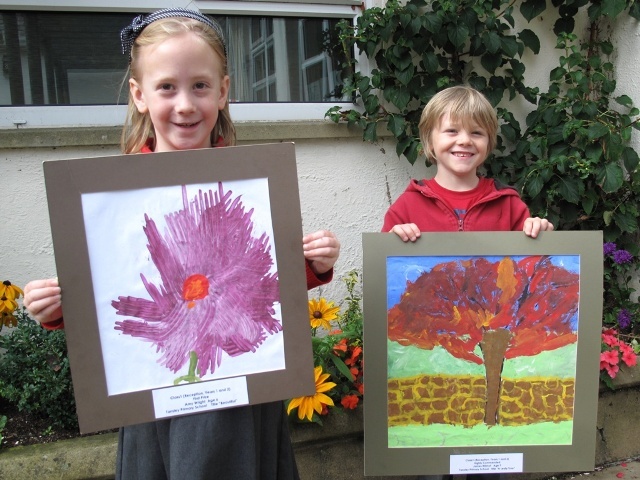 James Wilmot aged 7 was 'Highly Commended' for his painting. Well done Amy and James! 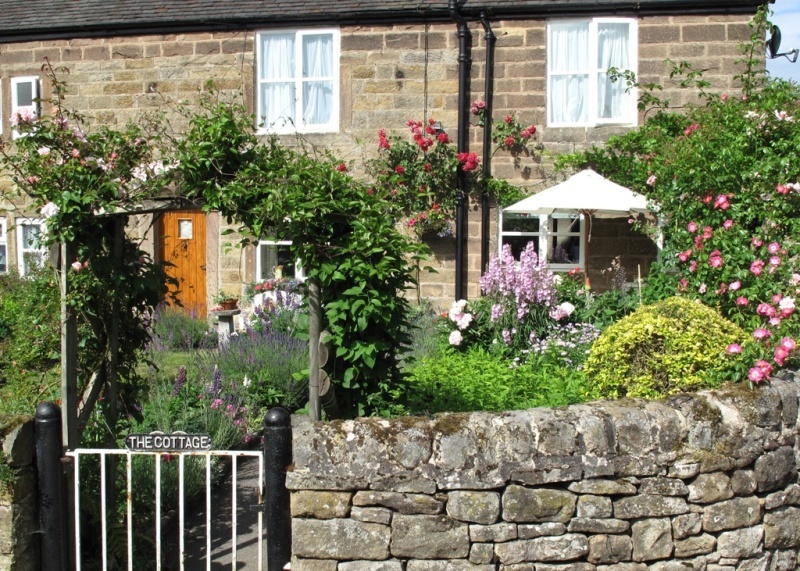 Well done to Brian Taylor and Tansley Parish Council for organising Tansley's entry to EMIB and to Brian and Chris Knightley for showing the judges around the village on 14th July, while the well-dressing and flower festival were providing such excellent additions to the village scene. 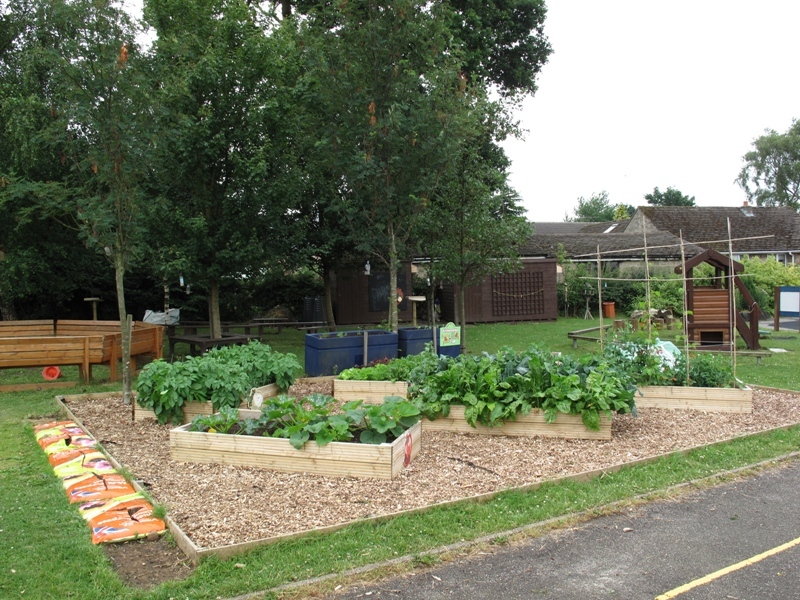 Well done also to everyone who helped to impress the judges with their gardens, the street baskets and tubs, the pub gardens, Holy Trinity church yard, the well-dressings and flower festivals, the school and the tidiness of the village. Brian Taylor and Chris Knightley very much enjoyed showing the judges (Ian and Mel) around our beautiful village on a dry, bright morning. Ian and Mel seemed very impressed with what they saw, particularly the portfolio, the numerous nature and garden additions in the primary school grounds for its Grounds For Change project (thanks to Tracey Holmes, Denise Ludlam and the children for showing us round), the well-dressings, the flower festival in Holy Trinity Church, our entry for the Frank Constable award (Ruth Bartlett's garden at The Cottage Green Lane), The Tavern (our entry for Best Pub/Hotel Garden), the new notice-boards and bins, the many lovely private gardens, baskets and tubs (including the pubs and Tansley House), the street baskets, the path off The Knoll with the lovely streams, ponds and mills, the various path sign improvements and the tidiness and lack of litter everywhere, owing to our community's effort rather than to paid litter pickers. 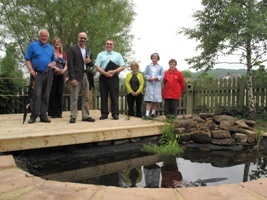 There was so much to see, particularly at the school, that we had to trim our planned route a little, trying not to miss key features and the many improvements since last year. 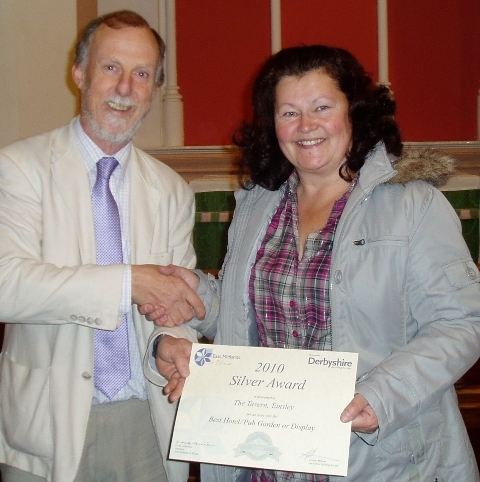 We know the judges were pleased with what they saw and so we are hopeful of improving on last year's Silver award. 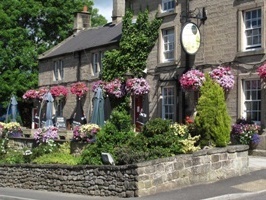 Thank you to everyone who helps and has helped to make the village so lovely and strives to make it even better. 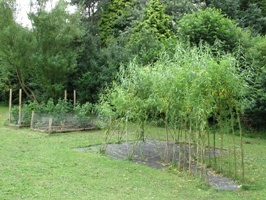 Click here to read details of the school's outdoor nature and garden projects. 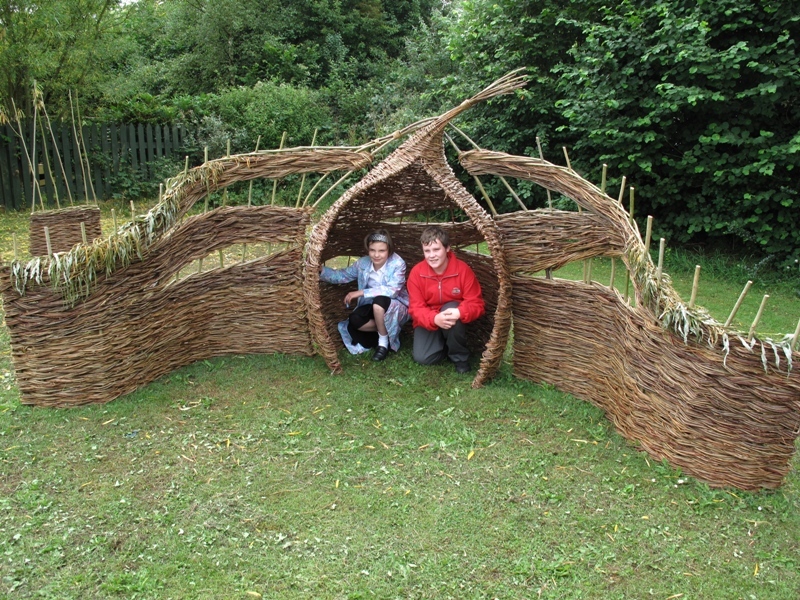 Here are a few photos at the school - please click to enlarge them. 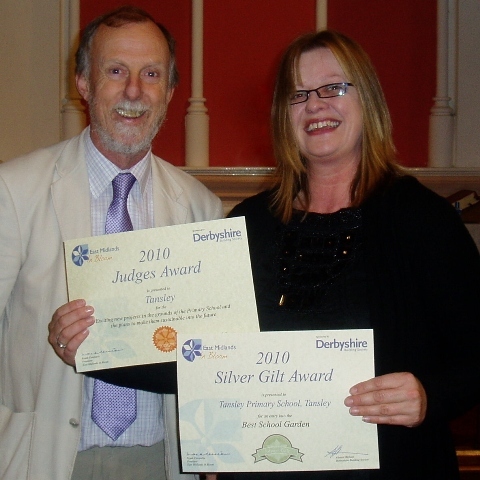 Brian, Tracey (head), Ian & Mel (judges), Denise (teacher), pupils. 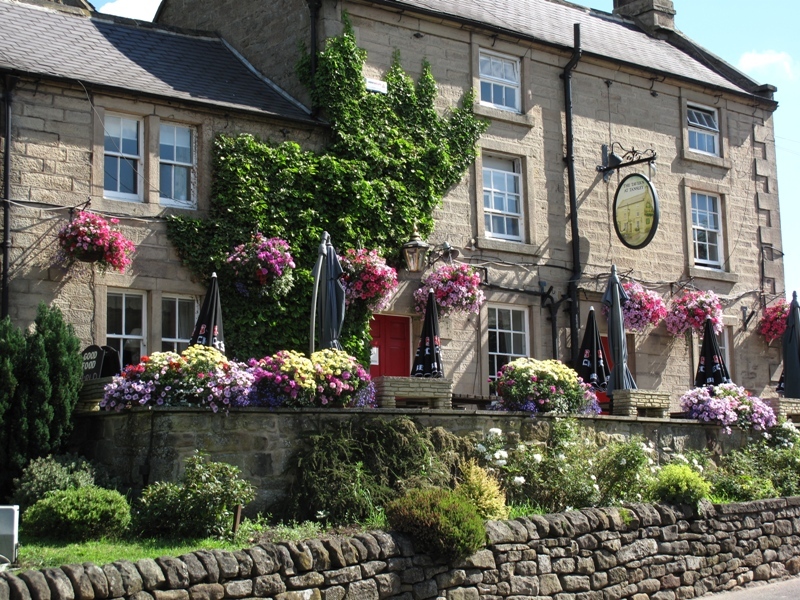 Here are photos of our entries for the Frank Constable Award and Best Pub Garden. Please click the photos to enlarge them.